Mary Davies finds safety in her ordered and productive life. Working as an engineer, she genuinely enjoys her job and her colleagues – particularly a certain adorable and intelligent consultant. But something is missing. When Mary’s estranged childhood friend, Isabel Dwyer offers her a two-week stay in a gorgeous manor house in England, she reluctantly agrees in hopes that the holiday will shake up her quiet life in just the right ways. But Mary gets more than she bargained for when Isabel loses her memory and fully believes she lives in Jane Austen’s Bath. While Isabel rests and delights in the leisure of a Regency lady, attended by the other costume-clad guests, Mary uncovers startling truths about their shared past, who Isabel was, who she seems to be, and the man who now stands between them. Outings are undertaken, misunderstandings play out, and dancing ensues as this company of clever, well-informed people, who have a great deal of conversation, work out their lives and hearts. I am a Jane Austen fan, so I was excited to read The Austen Effect. I have also heard wonderful things about Katherine Reay's books for a while now. This is my first read by her, but it will not be my last! 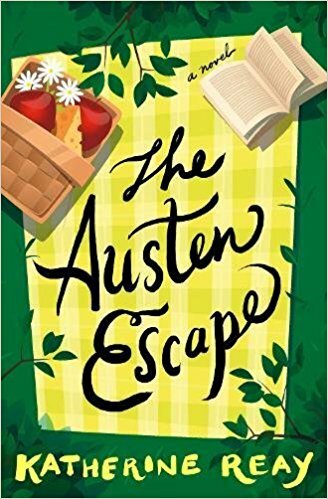 The Austen Effect tells the story of Mary Davies, who goes with her childhood friend Isabel Dwyer on a unique Jane Austen theme vacation at an estate in England. A lot happens in two weeks' time, as secrets are uncovered and a very Jane fortnight unfolds. This is such a delightful read! I liked the character of Mary, a pragmatic engineer suddenly placed in a richly imaginative setting. "You'll find your visit here to be steeped in the stories and culture of Jane Austen. As you read on our website, many guests choose characters from her novels they wish to embody during their stay, but don't feel you must. Others simply enjoy the costumes, the carriage rides, and the long walks, then sit here and check e-mail, work, or watch television" (p. 56). Now that sounds like a wonderful adventure to me, and I would love to go on a vacation in England like this! The historical details are fascinating. Isabel is a Jane Austen scholar, and has great little tidbits about period detail to share. And there were little surprising passages in the book that I enjoyed, like a conversation about the real Von Trapp family! The Austen Effect is a refreshingly unique read. 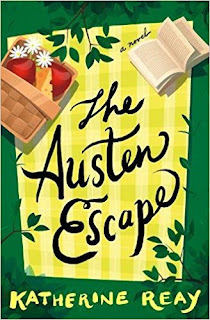 I recommend it to fans of Jane Austen, women's fiction, and to anyone who is looking for a diverting, engrossing, and fun read. Katherine Reay has enjoyed a life-long affair with the works of Jane Austen and her contemporaries—who provide constant inspiration both for writing and for life. 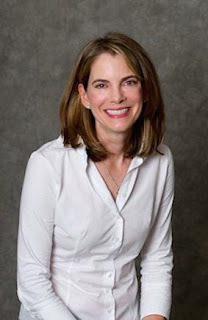 She is the author of three previous novels, and her debut, Dear Mr. Knightley, was a 2014 Christy Award Finalist, winner of the 2014 INSPY Award for Best Debut, and winner of two Carol Awards for Best Debut and Best Contemporary. Katherine holds a BA and MS from Northwestern University and is a wife, mother, runner, and tae kwon do black belt. After living all across the country and a few stops in Europe, Katherine and her family recently moved back to Chicago. Visit her on line at katherinereay.com.